The ultimate goal of the ongoing nuclear negotiations with Iran, the next round of which commences in Moscow on June 18, has always been the same: Determining whether Iran is willing to accept that its nuclear program must be credibly limited in a way that precludes it from being able to turn civil nuclear power into nuclear weapons. The collective approach of the 5+1—the five permanent members of the U.N. Security Council plus Germany— has likewise always been steady: They have pursued an incremental, step-by-step process designed to produce Iranian actions that restore the international community's confidence in the purposes of Iran’s nuclear program. Rather than trying to see if a broader deal is possible, the 5+1 has thought it more achievable to solicit an interim step of confidence-building measures, absent which there will be no relaxation of financial sanctions. At this stage, however, the step-by-step approach may be more of a trap than a vehicle for success. The problem is that the 5+1 strategy has necessarily depended on time serving as an ally. The United States and the European members of the 5+1 hope that by ratcheting up economic pressures on Iran, they will eventually convince the Iranian leadership to compromise (ie: accept a face-saving way to preserve their right to have civil nuclear power but without the means to convert it into nuclear weapons.) And the West's economic pressures on Iran do continue to become more acute; they will escalate significantly with the planned European boycott on the purchase of Iranian oil set to begin on July 1. With financial sanctions having already led to a devaluation of the Iranian currency of over 50 percent in recent months, and with U.S. sanctions on the Iranian Central Bank and anyone who does business with it now affecting all those who buy Iranian oil—leading to estimates that Iran is unable to sell close to 40 percent of its normal export total—there is some logic in playing for time. But, seen another way, time is decidedly not on the 5+1's side. Though Iran has agreed to come to talks, at this point its enrichment and accumulation of low-enriched uranium is continuing. The IAEA, the nuclear watchdog of the United Nations, reports that the Iranians now have accumulated roughly 6000 kilograms of low-enriched uranium. If purified further to weapons grade, that amount of material could be converted into approximately five nuclear bombs. And, that does not count the higher level of enrichment that the Iranians have begun in their Fordow facility—a facility embedded deep inside a mountain near the city of Qom. In that facility, the Iranians are now enriching uranium to 20 percent, ostensibly to provide fuel for a medical research reactor. The problem with enrichment to 20 percent is that it greatly shortens the time needed to purify uranium to weapons grade. As the talks head toward their third round, there is little indication that it will lead to an outcome that either has the Iranians accepting profound limits on their nuclear program to ensure there is no “break-out” capability or to an interim step that stops the clock as it relates to the Israeli concerns. In fact, the Iranians, contrary to the hopes about economic pressure, seem to be in no hurry. Yes, the Iranians are feeling the impact of economic sanctions and would like them relaxed; that is why they are in the talks. But at this stage, they are demanding tangible economic relief for minimal steps on their part—steps that might freeze 20 percent enrichment and nothing else in their nuclear program. Indeed, the Iranian government seems to have calculated that the prospect of a diplomatic failure will itself act as a pressure on the 5+1. Its diplomatic posture in the Baghdad talks reflected that position and their commentary now in advance of Moscow, particularly in Kayhan—the Iranian newspaper most identified with the Supreme Leader—hardly suggests they will now be any more constructive. Herein lies the trap for Washington in the current step-by-step approach. We have said we will not take part in a phony process and that each round of talks must achieve enough to justify another round. So if nothing emerges from Moscow, will we suspend the talks? Iran will be enriching; the clock toward the “zone of immunity” the Israelis fear keeps ticking. The Israeli justification for holding off on a military strike will weaken. True, we could argue that the sanctions need to be given more time to work and bring the Iranians around. But what is the end-point on that? And, unless we are prepared explicitly to tell the Israelis now that they need not strike because we will do so by a certain date, any argument in favor of allowing sanctions to take their course increasingly communicates that we are willing to settle for an outcome in which we contain, rather than prevent, an Iranian nuclear weapons capability. That, of course, is not President Obama’s position. He has stated clearly that our objective is prevention and not containment—and I have no doubt that he means it. Today, however, I don’t think the Iranians believe it. That is why our diplomacy needs to make that position more credible. The current step-by-step approach is not up to the task. It lends itself too much to a dilatory process that we cannot sustain. Worse, it denies us the ability to put a comprehensive proposal to the Iranians, one that permits us to directly address the core question of the negotiations: namely, whether Iran is prepared to accept not having a break-out capability to nuclear weapons. It's clear what the diplomacy around such a comprehensive proposal would entail: We would offer Iran a civil nuclear power capability—and if they reject the proposal, it would be presented to the public as a declaration that the Iranians want a nuclear weapons capability not civil nuclear power. Abandoning incremental step-by-step negotiations for a more direct end-state proposal of this sort offers obvious and not-so-obvious diplomatic advantages. First, the Israelis are much more likely to hold off if they know that this is the aim of the talks. Determining the end-state of Iran’s nuclear program matters much more to them than stopping the clock temporarily, particularly because they fear the price for producing the latter would be the easing of pressure on Iran. Second, and more importantly, we need a credible basis for using force if it comes to it. Context matters. It matters because the use of force is a means not an end. Iran has the know-how and the engineering capability to reconstitute its nuclear program, so it will be critical to maintain sanctions even after force has been used—and that requires that much of the international community accepts that the use of force was justified. If we or the Israelis use force, it is essential that we be seen as first having tried everything short of force and that the Iranians effectively brought this on themselves. The point is that we can only demonstrate that diplomacy was tried and failed—that we and/or the Israelis were left with no choice but to use force—if we first directly offer to Iran the possibility of a civilian nuclear program. The irony is that the best way to give diplomacy a chance to succeed is for the Iranians to know we are not afraid of diplomacy failing and we are prepared to use force if it does. Indeed, history shows that nothing concentrates the Iranian government's mind like the real prospect of force being used against it. When, in 2003, the Iranians thought they were next after the U.S. military defeated the Iraqi army in three weeks—an army the Iranians could not defeat in eight-and-a-half years—they altered their position and agreed to suspend uranium enrichment. 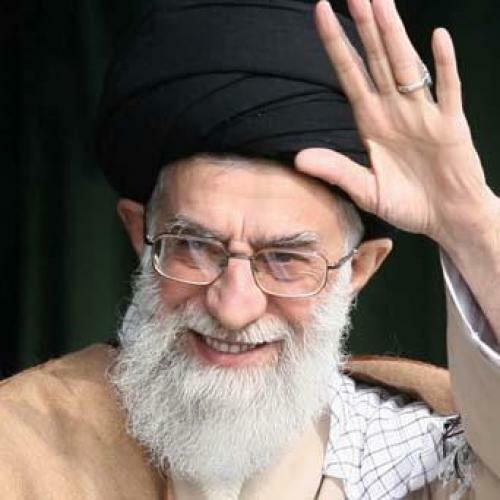 Ultimately, Ali Khamenei’s most important objective is to die in office of natural causes. But the first step for the 5+1 will be to move away from the step-by-step approach and to begin focusing on outcomes rather than interim steps. The current incrementalism is a trap that could either force us to walk away from talks prematurely, or continue them in a way that will leave the Israelis believing the 5+1 is dragging out talks to pre-empt the Israeli use of force—a perception that will make it more likely Israel will feel compelled to act, not less. A process geared to clarifying whether a real deal is possible with Iran will require putting a credible proposal on the table. It may take some time to reach agreement with the other members of the 5+1, but once that's done, it will have the benefit of clarifying the actual state of our negotiations with Iran. Best of all, it will signal that we are ready for either outcome: a diplomatic deal, or a diplomatic failure—with all that implies about our readiness to use force. Ambassador Dennis Ross, counselor at The Washington Institute, previously served as special assistant to President Obama and senior director for the central region at the National Security Council.